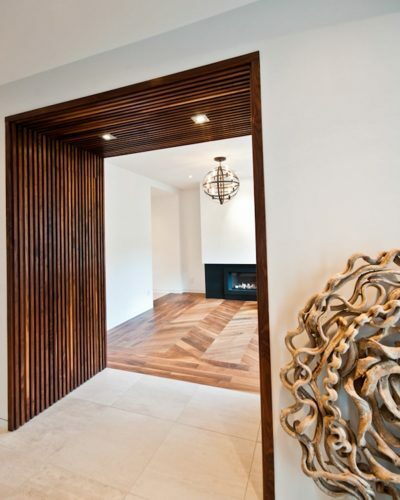 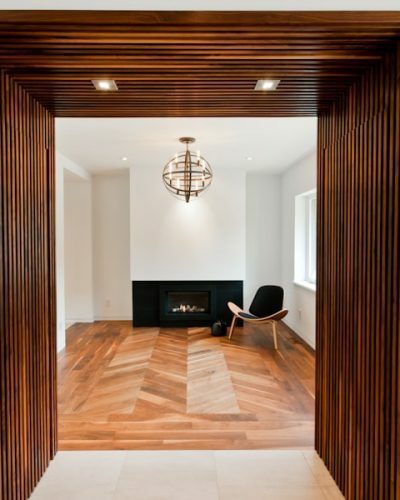 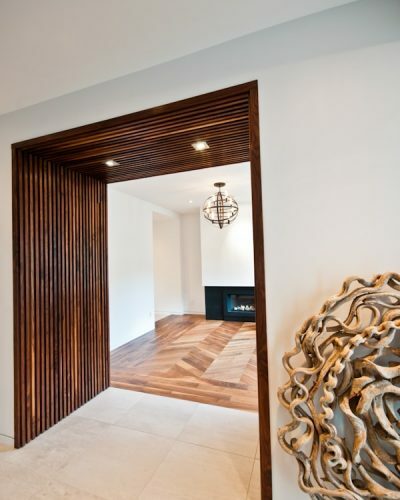 A unique custom door and wall paneling project by ScanWest defined by its warm, natural and subtle architectural details devoid of traditional ornamentation. 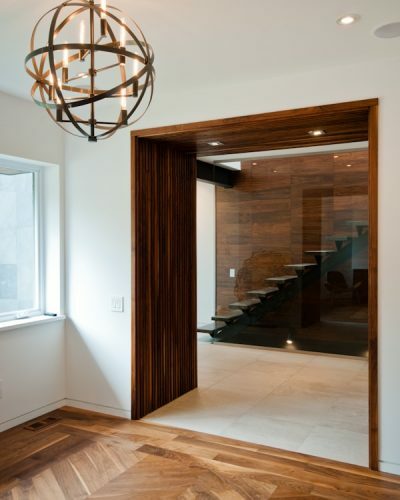 By creating an inviting and focal divide between the hallway, stairway and living room, our invisible doors hide access to a powder room and coat closet, creating an unhindered view of the rooms. 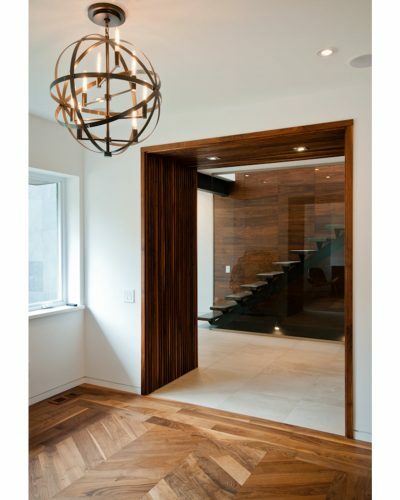 Light and harmony flow, creating an efficient use of open space conducive to entertaining and social living.